In 2001 Mega Fortris Europe ApS Ltd was established in Denmark. We are specialized in transport security – load secure products and security seal products. The company is a part of the Mega Fortris Group with head quarter in Malaysia, Asia and manufacturing plants in China and Malaysia. Both factories are certified with ISO 9001 and 14001 quality Management Systems. The Mega Fortris Group is the world largest manufacturer of container seals besides being a global supplier of a large range of other security products. 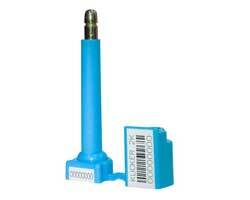 We are renowned for our elite innovative designs with high security standards. Our aim is to provide our customers with premium security products that fully comply with their demands and requirements. These core values combined with our competitive pricing ensure that we are the preferred supplier within all major industries. Today Mega Fortris Europe offers two extensive product ranges to our valued customers. A full range of security seals like, metal seals, plastic seals, security labels, envelopes and RFID security products. Furthermore, we provide a broad range of load security items like dunnage bags, strapping and lashing products to highest quality standards. 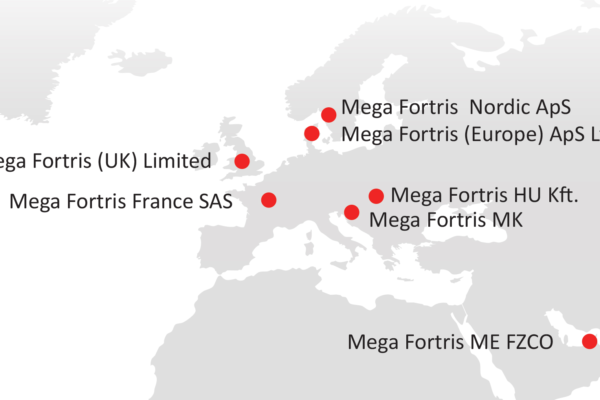 To meet the increasing European demand and to ensure close proximity to even more customers, Mega Fortris Europe has regional production facilities in the United Kingdom and Hungary. All of which fall under our ISO9001 and ISO14001 quality and environmental standards. A broad network of distributors and partners throughout Europe and the Middle East represents Mega Fortris Europe. This network enable us to provide local services with a global reach within a short notice. Mega Fortris Europe offers a full range of security products to various industries such as General Transport Companies, Shipping, Aviation, Chemicals, Oil and Gas, Food and Beverages, Pharmaceuticals, Communications, Casinos, Security Companies, Banks, CIT and Manufacturing. Mega Fortris has all relevant ISO product and manufacturing certifications. The company is also a full member of ISMA – International Seals Manufactures Association and is a Microsoft Gold certified member. Mega Fortris UK Ltd was established in Staffordshire, where a factory and warehouse also were acquired for developments within the UK and Europe. Fortris Load Secure UK Ltd – MF UK’s sister company, also operates from this location providing Load Securing Solutions to the UK. Mega Fortris Hungary was setup in Budapest, which a factory and warehouse were acquired to cover supplies to Eastern Europe. Mega Fortris France office and warehouse was established in Lille to support the domestic market. Grand Opening of Mega Fortris Europe new HQ in Espergærde, Denmark. Mega Fortris Middle East opened office in Dubai to support the region. Mega Fortris Macedonia office was set up in Skopje to support strong inland demand. Mega Fortris Load Secure Nordic established in Helsingborg, Sweden to supply the Nordic countries.